Superman - Fan Art. 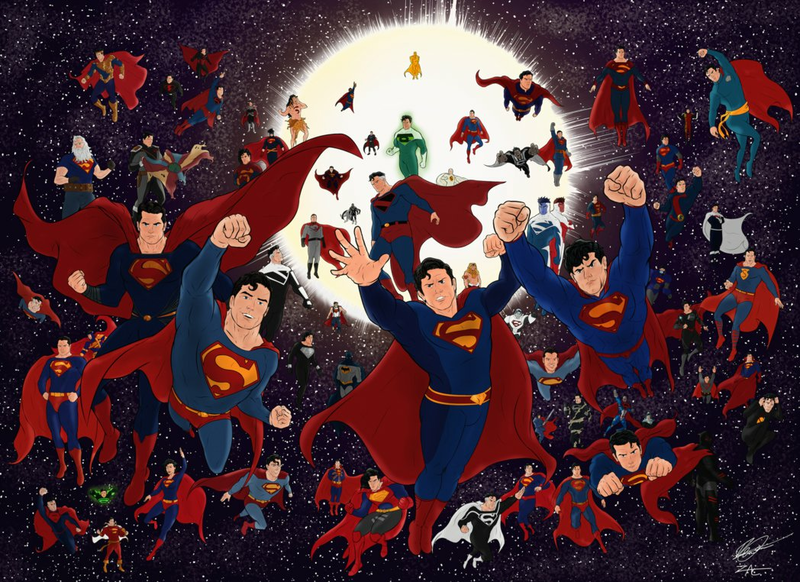 Image of Superman in his various versions.. HD Wallpaper and background images in the Superman club tagged: photo superman. 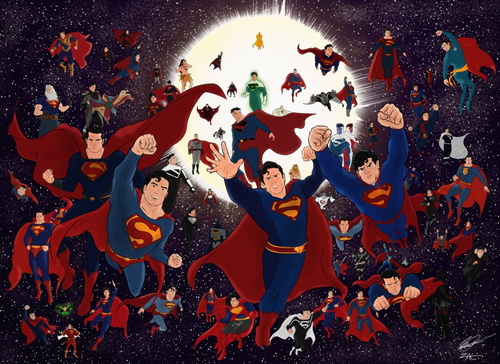 This Superman fan art might contain anime, comic, manga, cartoon, comic buch, karikatur, and comics.